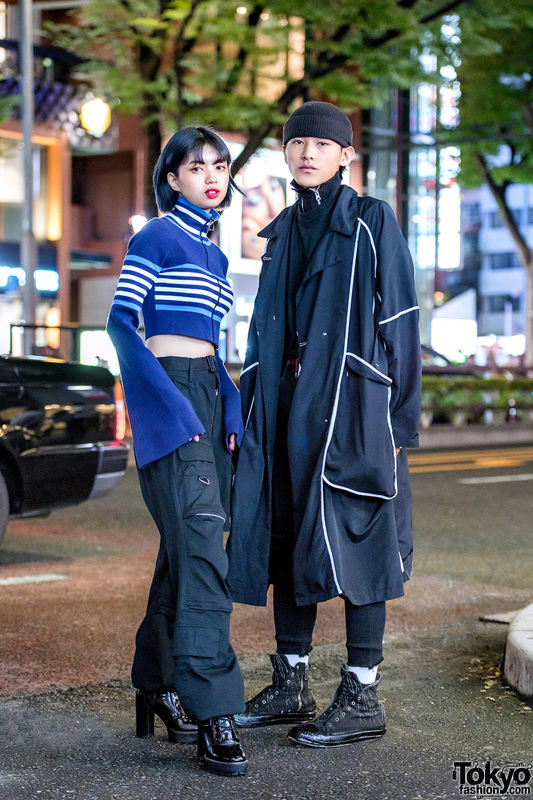 Billion Tokyo designer and companion in Harajuku sporting dark streetwear styles while out and about at night. 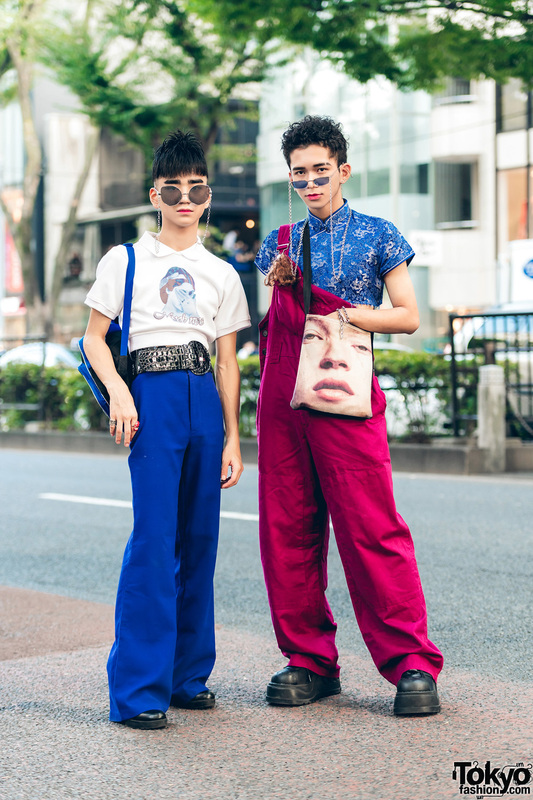 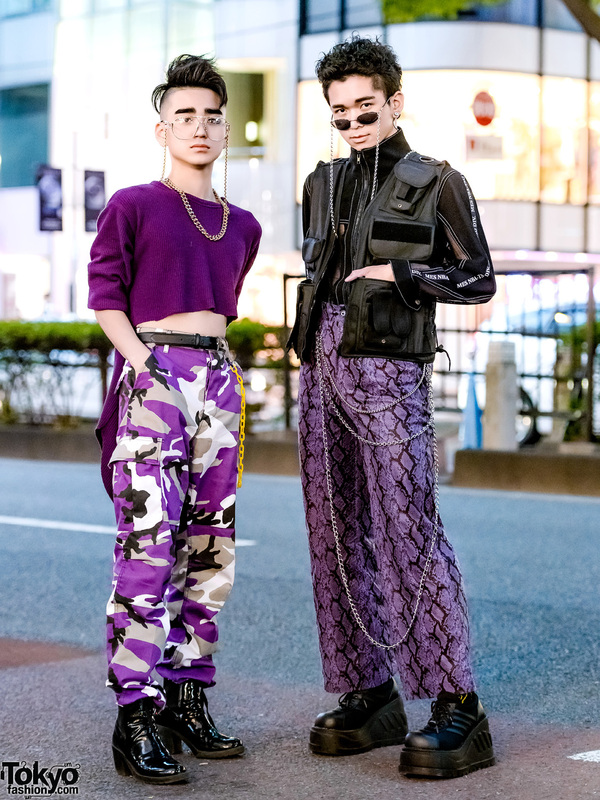 Harajuku guys in casual streetwear styles with cropped sweater, flared pants, mandarin collar top, overalls, Scooby Doo backpack and face print bag. 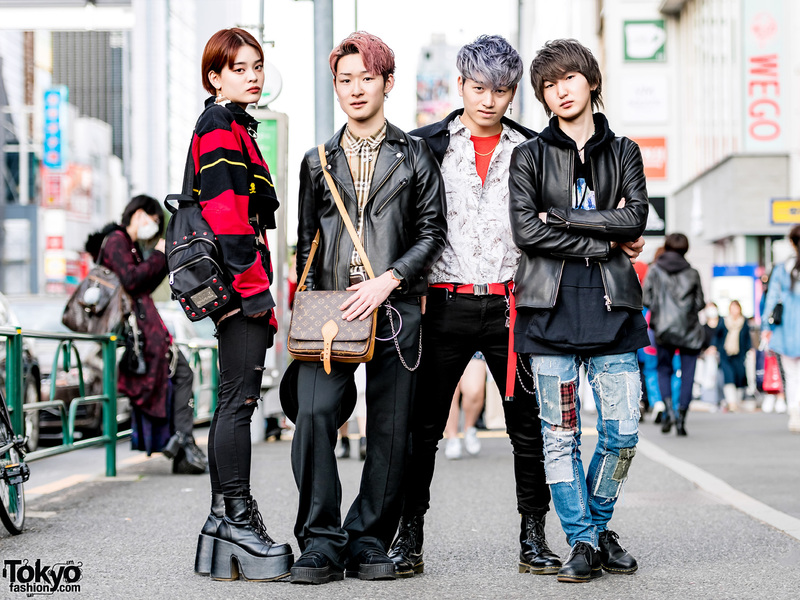 Japanese students sporting eye-catching street styles in Harajuku. 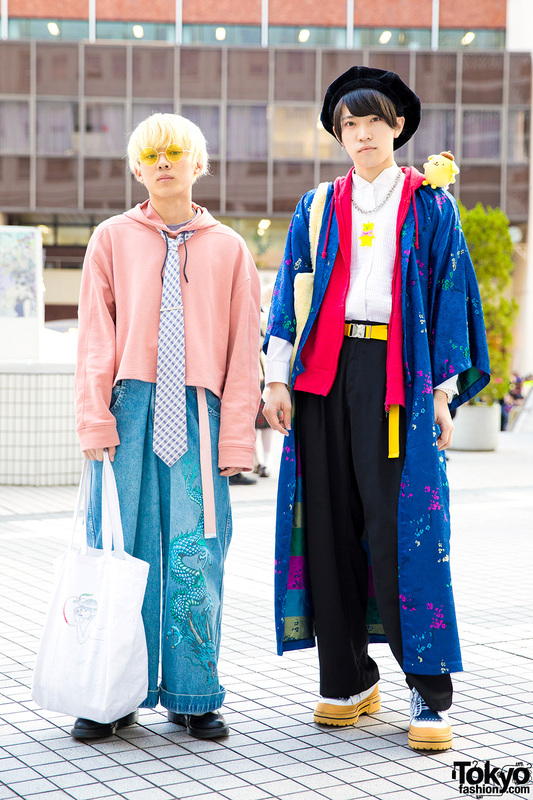 Japanese street fashion with one guy wearing a cropped hoodie sweater, wide leg denim pants, wingtip shoes, and the other wearing vintage clothes consisting of kimono coat over hoodie jacket & shirt, black pants and lace up shoes. 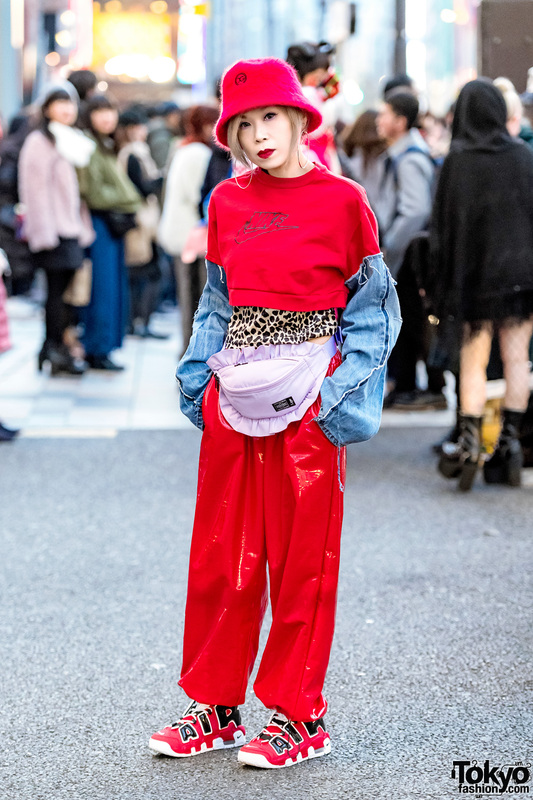 Harajuku school girls in street style fashion with cropped sweater, track pants, pointy boots, collar shirt, floral print pants, runners & bags.